K. A. Taipale, Introduction to Civil Liberties and Other Legal Issues, in The McGraw-Hill Homeland Security Handbook, 2nd Ed. (David Kamien, ed., McGraw-Hill 2012, ISBN:0071790845). K. A. Taipale, Cyber-Deterrence, (SSRN 2009 2010). K. A. Taipale, Power to the Edge: New Threats, New Responses in A Global Strategic Assessment 2009: America’s Security Role in a Changing World (National Defense University Press 2009, ISBN:0160832128). K. A. Taipale, Warrantless Wiretaps and Foreign Intelligence Surveillance in Wiretapping: Regulatory Perspectives (Amicus Books 2009). K. A. Taipale, The FISA is Not Adequate to Meet the Current Threat in Domestic Wiretapping (GH Press 2008). K. A. Taipale, Why Can’t We All Get Along? How Technology, Security and Privacy Can Co-exist in a Digital World, in Cybercrime: Digital Cops in a Networked World, Yale Information Society Project series, (Jack Balkin, et al., eds., NYU Press 2007, ISBN:0814799701). K. A. Taipale, Seeking Symmetry in Fourth Generation Warfare: Information Operations in the War of Ideas, in Proceedings of Challenges in the Struggle Against Violent Extremism: Winning the War of Ideas (INSCT-Bantle 2006). 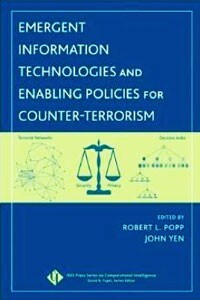 K. A. Taipale, Designing Technical Systems to Support Policy: Enterprise Architecture, Policy Appliances, and Civil Liberties, in Emergent Information Technologies and Enabling Policies for Counter Terrorism (Robert Popp and John Yen, eds., Wiley-IEEE Press 2006, ISBN:0471776157). 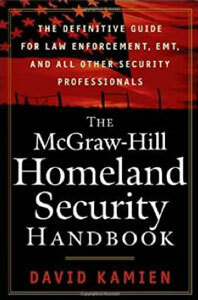 K. A. Taipale, Introduction to Domestic Security and Civil Liberties, in The McGraw-Hill Homeland Security Handbook (David Kamien, ed., McGraw-Hill 2005, ISBN:0071446656). Foreign Intelligence Surveillance Modernization: Reconciling Signals Intelligence Activity with Targeted Wiretapping [PDF], Testimony of Kim Taipale, U.S. Senate Select Committee on Intelligence (SSCI) Hearing on The Foreign Intelligence Modernization Act of 2007, May 1, 2007. Foreign Intelligence Surveillance Act Reform [PDF], Testimony of Kim Taipale before the House Permanent Select Committee on Intelligence (HPSCI), U.S. House of Representatives, July 19, 2006. Law Enforcement and National Security in the Information Age: Technology, Security, and Privacy in the War on Terror, Dirksen Senate Office Building, Capital Hill, Wash., DC (Oct. 14, 2004). Paul Trevithick, William Coleman, John Clippinger, and Kim Taipale, Identity and Resilience (2009). Available for download from the White House Cyber Policy Review web site. K. A. Taipale, Commentary, “Security vs. Privacy: Security,” The Huffington Post (Nov. 9, 2007). K. A. Taipale, Commentary (with James Jay Carafano, Heritage Foundation), “Free the Hostages: Continuing FISA Concerns,” National Review Online (Oct. 24, 2007). FISA Should be Amended, Says Center for Advanced Studies, (Spring 2007). Kim Taipale, “Balancing Privacy and Security,” The Wall Street Journal (May 16, 2006). K. A. Taipale (with James Jay Carafano, Heritage Foundation), Commentary: Fixing Foreign Intelligence Surveillance, The Washington Times (Jan. 24, 2006). Congress Should Address the Substantive Failings in FISA, says Center for Advanced Studies, CAS Report/US Newswire (May 12, 2006). FISA [Foreign Intelligence Surveillance Act] is not adequate to address recent technology developments, NYU Review of Law and Security (Mar. 10, 2006). “Not Issuing Driver’s Licenses to Illegal Aliens is Bad for National Security,” CAS Report/US Newswire (Dec. 17, 2004). “Government Should Not Rush to Massive ID Surveillance System,” CAS Report/US Newswire (Oct. 29, 2004). K. A. Taipale, Seeking Symmetry on the Information Front: Confronting Global Jihad on the Internet, 16 Nat’l Strategy F. Rev. 14 (Sumer 2007). K. A. Taipale, Rethinking Foreign Intelligence Surveillance, World Policy Journal, Vol. XXIII No.4 (Winter 2006/07). K. A. Taipale, Whispering Wires and Warrantless Wiretaps: Data Mining and Foreign Intelligence Surveillance, N.Y.U. Rev. L. & Security, No. VII Supl. (Spring 2006). K. A. Taipale, The Trusted Systems Problem: Security Envelopes, Statistical Threat Analysis, and the Presumption of Innocence, IEEE Intelligent Systems, Vol. 20 No. 5, pp. 80-83 (Sep./Oct. 2005). K. A. Taipale, Identity Resolution and Domestic Security: Who’s Who in Whoville, Center for Advanced Studies, Deadulus Project Publ. (Dec. 2003). K. A. Taipale, Technology, Security and Privacy: Confidential Memorandum for the Department of Defense Technology and Privacy Advisory Committee (TAPAC), Center for Advanced Studies (Dec. 5, 2003), National Archives. K. A. Taipale, Remote Sensing and Domestic Security: Extending the Edge of the Network, Center for Advanced Studies, ARC Series Publ. (Nov. 2003). K. A. Taipale, Netcentric Strategies for Domestic Security and Law Enforcement, Center for Advanced Studies, ARC Series Publ. (Oct. 2003). K. A. Taipale, Data Mining and Domestic Security: Connecting the Dots to Make Sense of Data, 5 Colum. Sci. & Tech. L. Rev. 2 (Dec. 2003). K. A. Taipale, Information Technology as Agent of Change in Environmental Policy, Center for Advanced Studies Working Paper (Jan. 2003, rev’d Jun. 2003). K. A. Taipale, Secondary Liability on the Internet: Towards a Performative Standard for Constitutive Responsibility, Center for Advanced Studies Working Paper (Feb. 2003). K. A. Taipale, Internet and Computer Crime: System Architecture as Crime Control, Center for Advanced Studies Working Paper (Feb. 2003). K. A. Taipale, Free Speech, Semiosis and Cyberspace, Center for Advanced Studies Working Paper (Jan. 2003). K. A. Taipale, Preliminary Research Overview 2003-2004, Center for Advanced Studies, (Jan. 2003, rev’d Oct. 2003). K. A. Taipale, Advanced Media in Education: Columbia University: Reflections on a Digital Future: A Preliminary Report, v.1.1, Office of the Vice Provost, Columbia University (1995). Robbie McClintock and K. A. Taipale, Advanced Media in Education Project, Institute for Learning Technologies, Columbia University (1995). Robert McClintock and K. A. Taipale, Educating America for the 21st Century, Institute for Learning Technologies, Columbia University (Version 2.1, 1994). Managing Digital Assets: The Challenge of Creating and Sustaining Intangible Value in a Data-Driven Economy, David Bollier, rapp. (Aspen Institute 2015). POWER-CURVE SOCIETY: The Future of Innovation, Opportunity and Social Equity in the Emerging Networked Economy, David Bollier, rapp. (Aspen Institute 2013). The Future of Work: What It Means for Individuals, Businesses, Markets, and Governments, David Bollier, rapp. (Aspen Institute 2011). The Promise and Peril of Big Data, David Bollier, rapp. (Aspen Institute 2010). Identity in the Age of Cloud Computing, J.D. Lasica, rapp. (Aspen Institute 2009). Biometric Recognition: Challenges and Opportunities, J. N. Pato and L. I. Millett, eds. (National Academies Press 2010) (ISBN 0309142083). Technology, Policy, Law, and Ethics Regarding U.S. Acquisition and Use of Cyberattack Capabilities, W. A. Owens, K. W. Dam, and H. S. Lin, eds. (National Academies Press 2009) (ISBN 0309138507). Protecting Individual Privacy in the Struggle Against Terrorist, Committee on Technical and Privacy Dimensions of Information for Terrorism Prevention and Other National Goals (National Academies Press 2008) (ISBN 0309124883). Mobilizing Information to Prevent Terrorism, Third Report of the Markle Foundation Task Force on National Security in the Information Age, Zoe Baird & James Barksdale, chmn. (Jul. 2006). Implementing a Trusted Information Sharing Environment, Markle Foundation Task Force on National Security in the Information Age, Zoe Baird & James Barksdale, chmn. (Feb. 2006). No More Secrets: National Security Strategies for a Transparent World, S. E. Spaulding, conv., A. Kochems, rapp. (ABA-SCLNS, Off. of the Nat’l Counterintelligence Exec., & Nat’l Strategy F. 2010). K. A. Taipale, “Cyber-deterrence,” (slides PDF) at Boston Global Forum Cyber-security Day Conference, Harvard University (Dec. 12, 2016). K. A. Taipale, “Technological Displacement: Policy Options,” (slides PDF) at Global Information Society Project, World Policy Institute (Apr. 18, 2016). K. A. Taipale, “Policy Implications,” (slides PDF) at Digital Assets and Liabilities: Valuing the Intangible Economy, 23rd Annual Aspen Institute Rountable on Information Technology (Jul 7-10, 2014). K. A. Taipale, “Power Curve Economy,” (slides PDF) at Navigating the Emerging Economy, 21st Annual Aspen Institute Roundtable on Information Technology (Jul 31-Aug. 3, 2012). K. A. Taipale, “Governance in an Interconnected World” (slides PDF) at the Atlantic Council (ACUS), Wash., DC (Nov. 14, 2011). K. A. Taipale, “Social Implications,” at The Future of Work, 19th Annual Aspen Institute Roundtable on Information Technology (Aug. 4-6, 2010). K. A. Taipale, “Electronic Surveillance in Extremistan,” Texas Law Review Symposium 2010, Univ. of Texas Law School, Austin, TX (Feb 4-6, 2010). Kim Taipale, Policy Issues for Science and Technology in a Surveillance Society at the 32nd Annual AAAS Forum on Science and Technology Policy, Washington, DC, May 3-4, 2007. K. A. Taipale, “Deconstructing Information Warfare,” Committee on Policy Consequences and Legal/Ethical Implications of Offensive Information Warfare, The National Academies, Washington, DC, Oct. 30, 2006. K. A. Taipale, “Seeking Symmetry in Fourth Generation Warfare: Information Operations and the War of Ideas,” Bantle-Institute for National Security and Counterterrorism (INSCT) Symposium: “Challenges in the Struggle Against Violent Extremism: Winning the War of Ideas” at Syracuse University, Mar. 30, 2006. K. A. Taipale, “Technical and Policy Challenges: Implications for Evolving Business Models,” 16th Annual Economic Crimes Institute Conference, Tysons Corner, VA, Oct. 24, 2005. K. A. Taipale, “Information Policy and the Intelligence Enterprise,” McLean, VA, Apr. 12, 2005. K. A. Taipale, “Information as Warfare: Disrupting Terrorist Networks” at the Yale Information Society Project, “Global Flow of Information” Conference, Yale Law School (Apr. 1-3, 2005). K. A. Taipale, “Biometrics and Information Sharing,” presented at the Computer Science and Telecommunications Board conference on Technology, Policy, and Cultural Dimensions of Biometric Systems, The National Academies, Washington, DC, Mar. 15-16, 2005. K. A. Taipale, “Public Safety vs. Personal Privacy: The Case For and Against Secure Flight,” presented at the InfoSecurity 2004 conference in New York on Dec. 8, 2004. K. A. Taipale, “Counterterrorism technology and privacy,” presented at the American Bar Association Standing Committee on Law and National Security conference on “National Security Law in a Changed World: The 14th Annual Review of the Field,” in Arlington, VA on Nov. 18-19, 2004.